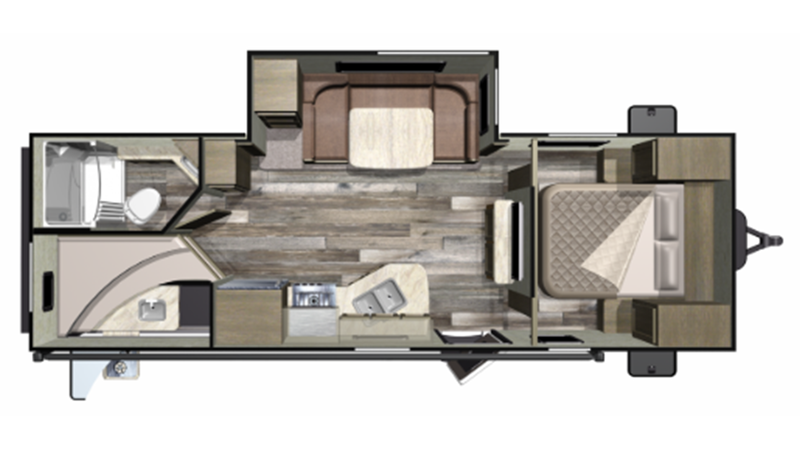 Your family will love every moment inside the 2019 Starcraft Mossy Oak 24BHS Travel Trailer! 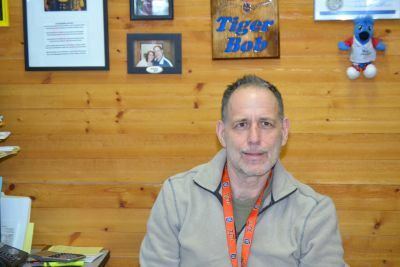 Hamiltons RV has been one of Michigan's top RV dealerships since 1989 with outstanding sales and service from our friendly, knowledgeable staff! We offer great low prices and flexible financing options tailored to meet the needs of every prospective buyer. Our 24/7, door to door delivery service across North America means that you're never too far away to enjoy one of our great deals on a great RV! We're conveniently located at 1580 Tittabawassee Saginaw Michigan 48604 so drop in today! Give us a call at 989-752-6262. We'll have you on your way with a great deal in no time! A good night's sleep is often a rare luxury on the road - but not in this fabulous Travel Trailer! The spacious master bedroom is comfy and private, with handsome furnishings for your clothes and a roomy Queen bed that will take you off to dreamland in no time! Up to 8 people can sleep comfortably at night! Have a meal better than s'mores and campfire hotdogs! The kitchen has a 6.00 cu. ft. refrigerator, 3 burner range cooktop, and a sink with clean water from the 48 gallon fresh water tank! When you need to go, you need to go, so enjoy the convenience of a Foot Flush toilet and modern private shower right inside your RV! And with 60 lbs. of LP tank capacity, you don't need to worry about the shower going cold! The used water and waste are stored discreetly in the 32 gallon gray water tank and the 32 gallon black water tank! 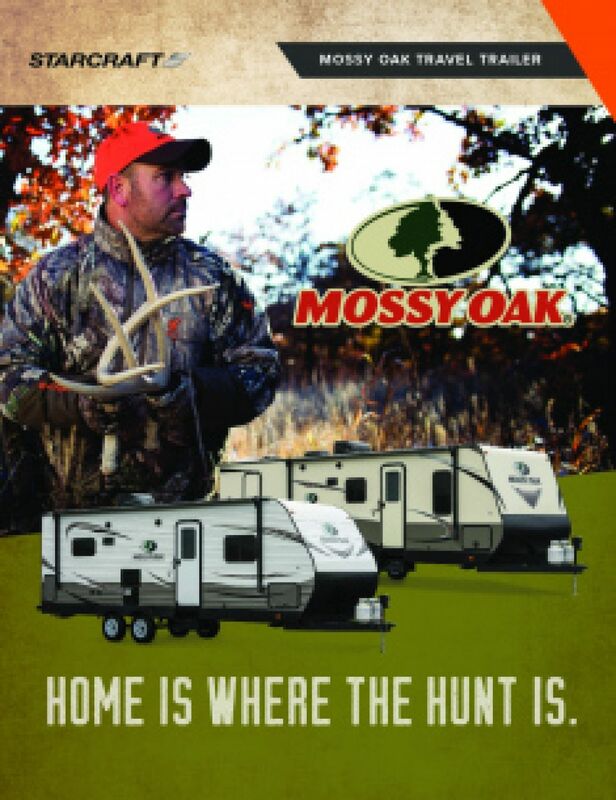 The Mossy Oak 24BHS has wonderful sleeping accommodations for up to 8 people, and one of those is the cozy bunkhouse with its comfy Bunkbeds! Kids especially will love having their own space where they can chill during the day, and snuggle down into at night!